Winter took its sweet time arriving here in Iowa! We had an unseasonably warm fall, and a White Christmas was not even remotely possible…then winter showed up with vengeance! Now we have snow piled everywhere, brutally cold temperatures, and people are looking for a reason to stay inside! MBI has the solution: the better part of three days with great company, great food, and the chance to expand your knowledge. Of course, I am referring to the 2019 Annual Winter Conference that is scheduled for Monday, February 25th through Wednesday, February 27th at Prairie Meadows Events and Conference Center in Altoona, IA. 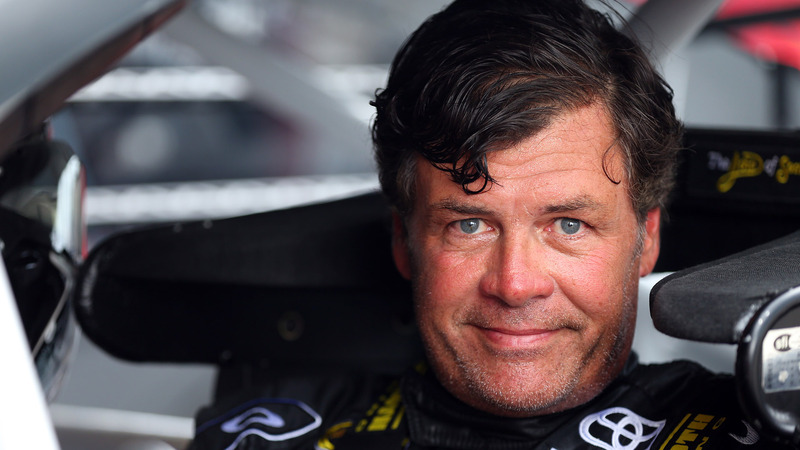 Below are five reasons why this is a must-attend event! 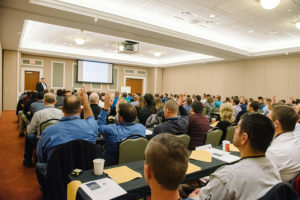 Following the Membership Meeting on Monday, this conference will provide attendees with two full days of seminars that will inspire and challenge them in the areas of project management, leadership, safety, and much more. Led by some of the brightest minds and highly experienced industry professionals, these seminars will have you wanting to get back to work so you can apply your newly-learned procedures, tips, and best practices! MBI recognizes the individual and team accomplishments within our membership at the annual awards events on Tuesday and Wednesday. On Tuesday morning, we will present the Build Iowa Award to a deserving individual who has represented himself/herself to Iowa’s commercial construction industry following the tenants of MBI…Responsibility, Skill, and Integrity. The Leadership in Workforce Recruitment Award will also be presented at this event. This award recognizes an MBI member company that has displayed exceptional effort, engagement, and leadership in communicating to future industry workers that there are incredible career opportunities in the commercial construction industry. At the Masters Award Luncheon, we will recognize the accomplishments of project teams over the past year, and announce the winners of the 2019 Masters Awards. In addition, we will recognize individuals who have earned the coveted Master Builder Achievement Award. On Wednesday, we will hold the Safety Awards Breakfast, during which we will recognize the top companies and individuals in the area of safety. The awards presented at this event include with the Company Safety Awards, Safety Professional Award, Safety Champion Award, and the WORKSAFE Project of the Year Award. 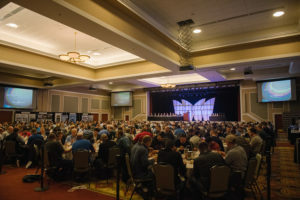 Networking is a critical part of success within the commercial construction industry, and the Annual Winter Conference is an ideal event to connect with others in the industry. Following the Membership Meeting on Monday, we will host a welcome reception where MBI members can re-connect with old friends while enjoying complimentary drinks and appetizers. In addition to running into friends and colleagues between seminar sessions, we will also host a two-hour Industry Reception on Tuesday evening, as well as a Lunch Buffet & Exhibitor Reception on Wednesday. These are great opportunities to visit with vendors, network with colleagues, play a little putt-putt golf, and connect with students in the UNI Construction Management program and the ISU Construction Engineering program (maybe you’ll find the next great addition to your team)! The featured awards events keynote speakers for this conference are all winners but in very different ways, with very different talents. Nic Bittle is the founder of WorkForce Pro, and in addition to working with contractors to help them build the best workforce possible, he has developed performance improvement curriculum to help build your future employees. Ruben Gonzalez is a four-time Olympian in the luge, a sport for youngsters that he took up at age 21…four years later he was in the Olympics, and at age 47 he was still competing! Finally, two-time Daytona 500 Champion Michael Waltrip will share his story of the day that was both the best and worst day of his life. Hear their great stories at the Build Iowa Breakfast, Masters Award Luncheon, and Safety Awards Breakfast. Register today before they sell out! 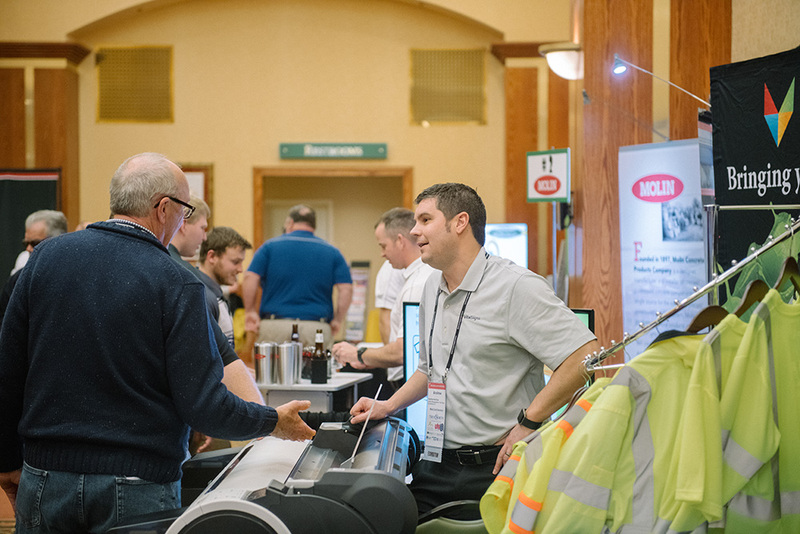 A big part of the Annual Winter Conference is the long list of exhibitors who will be on-hand to introduce you to their products and services. Throughout Tuesday and Wednesday, you will have access to 68 vendors and suppliers who have the latest tools, services, and concepts to improve your projects and team! Exchange business cards and take samples, information, and swag back to the office for your team to discuss and implement into future projects. As you can see, the 2019 MBI Annual Winter Conference is a must-attend event for Iowa’s commercial construction industry! We hope that you and your team will join us next month. If you have any questions, please visit mbi.build/events/winter-conference or email me at tfulcher@mbi.build.